Paper bag is slowly turning from a mere necessity to a brand fashion statement. Only 20 years back, there used to be only polythene bags of varying sizes used for even packing expensive items. Paper bags were limited those days with hardly 1 or 2 color screen printing. Few used to paste the logo or simply stamp their contact details on ready made paper bags. These days not only modern retail stores like Adidas, Reebok, W, Titan etc but also small retail stores uses these branded paper bags. Discount stores like Reliance Fresh, Big bazaar, Spar etc charges you nominal Rs 2/- to Rs 5/- depending upon the bag size which are mainly non woven or plastic branded bags. 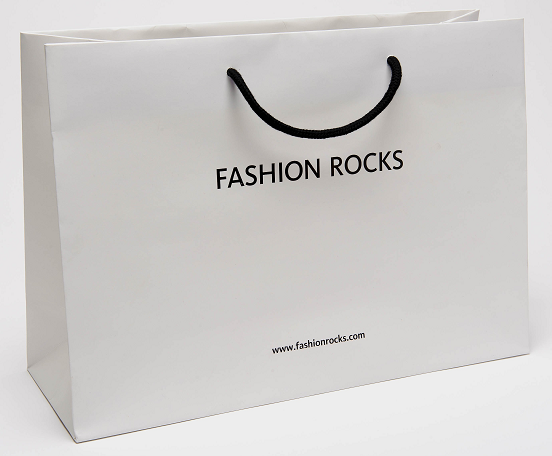 Paper bags are used instead of non woven, woven or plastic bags where the material to be carried is not too bulky. Print quality is same on all bags these days with woven bag having slightly inferior print in comparison. Kraft paper is undoubtedly first choice. It comes in mainly 2 colors white and brown. It is preferred choice thanks to its high print absorption quality and strength. 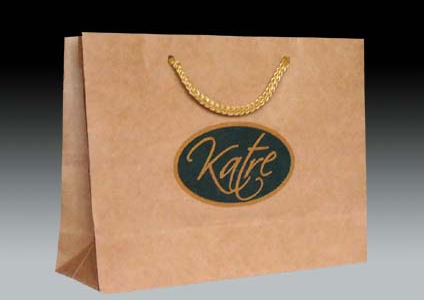 Kraft paper it seems is manufactured mainly for transporting tough materials like banner in roll format. There are different thickness available you can go with 250 gsm or above for best quality. The ivory board is a thicker and crispier alternative to the art paper. Art paper is used for printing business cards and brochures. Ivory board is also more expensive than the art paper. It comes only in matt finish. Gloss finish is not available, which you can attain by going for gloss lamination on ivory paper. It comes in both gloss and matt finish. For paper bags we recommend going with 300 gsm and above. It is safe to go with 300 gsm art paper with matt lamination. It will be thick enough to sustain 7-10 kg of weight. Duplex board are seldom seen these days. As such a thick board requirement is hardly there in any retail outlet. Also though the cost is less than art paper but printing good creative is always a challenge on these duplex board. As these board don't absorb color that well. Other paper options which are available are:- recycle paper, wood free paper, metallic paper, texture paper, FSC certified paper etc. 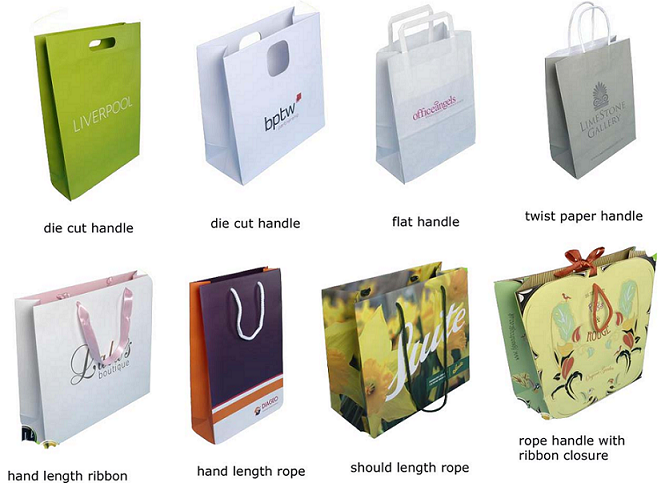 There are various handle option available for these paper bags. Handle should be easy on hand and they should not get easily teared. Not most of us expect them to use paper bags for extended duration as plastic carry bags does that job, but is should not be too cranky. Once you have made your mind to go with paper bags, next thing you should be considering is how to make them look appealing. There are various options available with you to add to the looks. 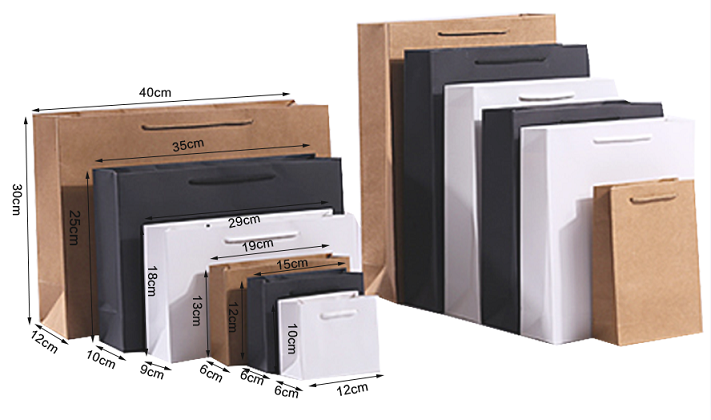 Paper bags are available in various sizes. You can either choose from one of the available sizes in the market or go with the custom sizes. Custom size ordering may require minimum order quantity ordering. It is advisable to go with company logo and address or may be website address, facebook url etc. Less is more when it comes to paper bags. Too much of content, images and all will clutter the paper bags and may end up looking shabby. If your company logo is in multi color then you can convert it into 1 or 2 color to save on the cost. 1 or 2 color logo can be printed via screen printing else offset printing will be required. Price of paper bags are more expensive than equivalent size plastic bags. 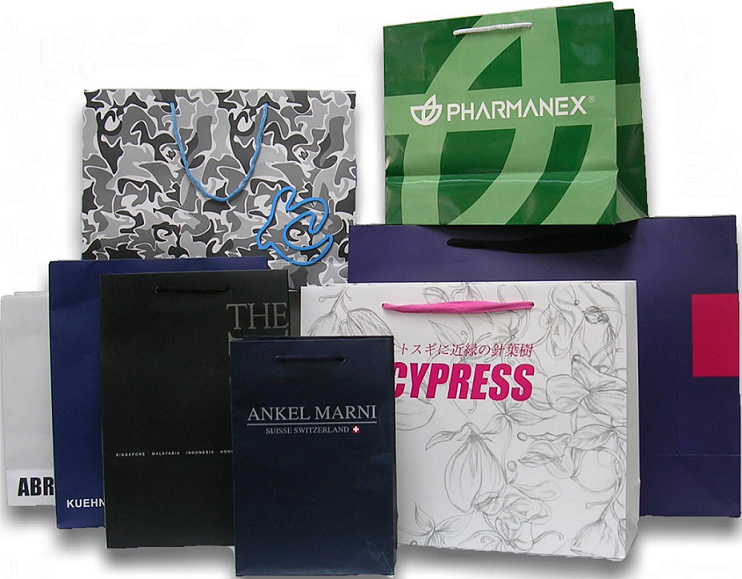 Paper bag price will depend upon size, quantity and graphics that needs to be printed. For 1000 regular A4 size paper bag for 1 color printing on both sides of the bag price can be ranging from Rs 25/- to Rs 30/- per paper bag. These prices are for kraft paper bags. To know the exact price and to place the order, call us or email us your requirement.